Editor’s note: This post originally ran on May 24, 2010, and was substantially revised and reposted on January 21, 2013. 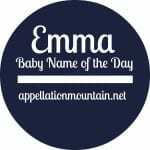 She’s an ancient place name with an appealing spiritual link. Thanks to Danielle for suggesting Lydia as our Baby Name of the Day. Luna, Lily, Lila, Lucy, London. Many a stylish baby names is brought to us by the letter L. The -ia ending also packs a wallop, too. Think of Sophia and Amelia. She’s an ancient place name. Now part of modern-day Turkey, Lydia was a powerful independent kingdom through the sixth century BC. According to Herodotus, the name is in homage to King Lydus. The first woman called Lydia appears in the New Testament. She’s a wealthy woman and early convert to Christianity. Some say she was the very first convert in Europe. She’s considered a saint. Poet Lydia Sigourney earned a living by her literary wits, and inspired many other women to establish Sigourney Societies to encourage reading. Entrepreneur Lydia Pinkham made a mint selling an herbal tonic. Philanthropist Lydia Bradley was the first female member of a national bank’s board of directors. Suffragette and publisher Lydia Becker was active in the 1860s and 1870s. Abolitionist Lydia Child is best remembered for her Thanksgiving poem Over the River and Through the Woods. Portrait artist Lydia Emmet has works hanging in the White House and the Met. Lydia Koidula was an Estonian poet. 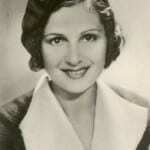 Russian ballerina Lidia Lopukhova married famed economist John Maynard Keynes. The name fell into the 200s and 300s for much of the twentieth century. Spelling Lidia is common in Italian, Spanish, and Polish. References to the song abound. Little sister Dinah Lord performed it in The Philadelphia Story; so did Robin Williams in The Fisher King and Kermit the Frog on The Muppet Show. Most recently, Heroes featured Lydia the Painted Lady, a member of Sullivan Brothers Carnival. The impetuous youngest sister in Jane Austen’s Pride and Prejudice wore the name. Winona Ryder’s character in 1988’s Beetlejuice was Lydia. In 1993’s Mrs. Doubtfire the kids included Lydia, nicknamed Lydie. MTV’s series Teen Wolf includes a Lydia. In recent years, she’s made a comeback – a sister for Sophia, an alternative to Olivia. Nickname Liddy or Lydie is just as appealing as Abby or Maddie. She reached #96 in 2011. No wonder that we’re meeting more and more little Lydias these days. We were clearing out a closet this weekend and found a list of names for our 2005 born daughter. My husband’s list included Lydia. 🙂 We didn’t choose Lydia but it is a lovely choice. I remember meeting one at the library who had an older sister named Rose. That stuck with me, as our daughter is Rose. There’s now a Lydia in our Kindergarten Sunday School class and my husband still likes the name. lydia is a lovely name… and does it get any cuter than “liddie” for a nickname? hehe, lydia is my name and i get called lydie,lyd, and lydie-lou often haha my middle name is jade but yeahh i love my name too it’s unique and barely anyone has it(: oh and it’s from beetle juice + it’s italian too well italian or something like that lol. My daughter’s a Lydia. We have an odd last name that starts with a B (like so many of the famous ones you listed). It balances well. I’ve always been partial to this name! 😉 Thanks for sharing! I like Lydia — I definitely prefer her to Sophia (not a fan), and would also preference her over Olivia (pretty, but it doesn’t do much for me). Last week, at a picnic social for young mums and their younger offspring, there was a nine-month-old Lydia in attendance. I really like Lydia, I think it has a dark quality to it. I also like Lydie. In the movie ‘Dark Prince: The true story of Dracula’ Vlad’s wife is named Lidia. I LOVE the name Lydia…. and it fits ALL my vast criteria for a name, but 118 is too popular for me – BOO! The first time I can remember hearing it was Winona Ryder’s character in BeetleJuice. I’ve liked it since then, I just wish it wasn’t rising on the charts. I really love the name Lydia. Lydie makes a cute nickname (and also happens to be the French version of the name). I really like Lydia a lot. I know one in her 30s… a positive association for me. I like Lida as a nn for it a bit more than Liddy, but the latter would be cute on a little girl. All in all, very nice. Ooh, Lida is nice, too. I know two little Lydias. One is five-ish and the other is just a few weeks older than Clio. It wears really well on a child. In short, Lydia could be a great choice for anyone else, just not me. There’s nothing wrong with Lydia, its just that “L” heavy names aren’t sounding fresh anymore. I also think my taste has moved away from names that are so vowel heavy, to names with strong consonants like Harriet and Magdalen. Lydia sounds lovely… but the only Lydia I’ve met was my math teacher, so I’m on the fence. Although maybe when I actually have kids, I will consider it as a better option. I like the name Lydia – not really enough to use it personally – but it’s one that I like to hear on other children. I met a toddler Lydia a couple of years back. She was a younger sister to Rose, so that caught my attention, having a Rose myself. I think Lydia is beautiful. I really like the Biblical connection, and I love the way it sounds. Even the annoying little sister in P & P didn’t turn me off from the name! However, I do have a cousin named Lydia, so I could never use it unless it was a middle name. Having two Lydias in the same family would be really confusing. I’ve loved the name Lydia for as long as I can remember. It’s our second choice for a daughter. Thanks for featuring! Lydia is one of my top choices for a future child because of a family connection. Unfortunately, it doesn’t go with my last name, but it’s still on my list. I think it’s a lovely name. But, I don’t really like Lydia much as a name. I love Sophia and Olivia, but Lydia, not so much. Lydia is nice enough, but does nothing for me. She is kind of on par with names like Julia & Olivia. I want to like them, but something about their sounds fall flat and hearing them more than once makes them sound dull and boring to me. I couldn’t have worded my thoughts any better (or more eloquently) than this. I would certainly rather hear of a Lydia or Olivia instead of a Nevaeh or an Addysyn, but the names really don’t do anything one way or another for me.